A friend of mine was always badgering me and bullying me to see The Walking Dead season 2, and I'm glad she did. It wasn't that I did not want to watch it, more that I wanted to finish watching all 39 hours of Dad's Army first! 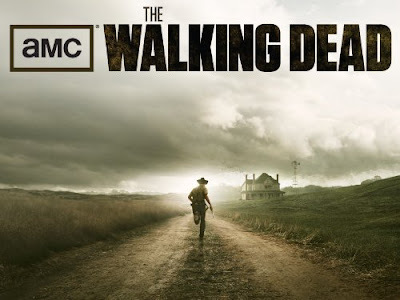 Is it just me or are all the cool kids calling The Walking Dead 'WalkDead'? Wow, what a season, I was first off surprised to see it was now 13 episodes, season one had been just 6. I had heard from a lot of people that there was a big lull in season 2, quite a few episodes in the middle were supposed to be boring and have nothing happen in them. I was expecting this lull, and was watching out for it, yet totally missed it! Episodes started getting amazing, each more exciting and awesome than the last and I realised I had sped past the hump. This is just such an amazing season, everything is done right and is so different from what happens in the comics that it always feels fresh. 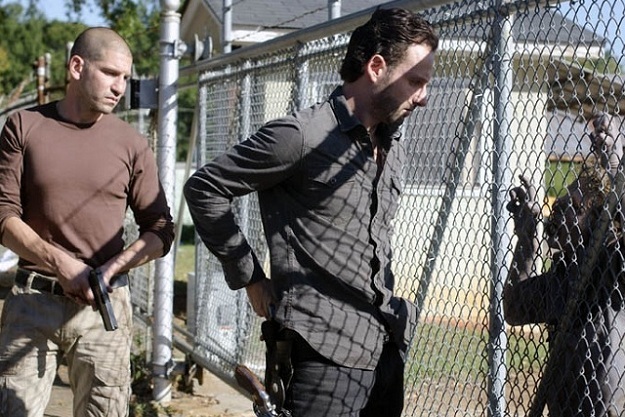 Shane (Jon Bernthal) is still my favourite character. In the comics he was killed off quite early and so I was interested to see where he would go. He is such a fantastic deep character. He is a bad person, there is no doubt of that, yet you really have to feel sorry for the poor guy. Shane has gone through 2 apocalypses. The first was the destruction of the world he knew, the second is a far more personal one. Believing Rick was dead he vowed to protect Rick's son and wife and in doing so fell in love with her (Lori). 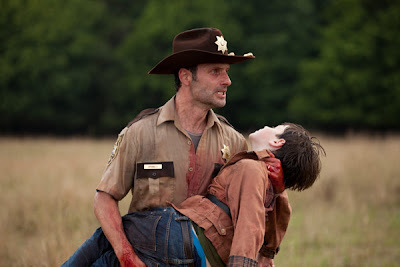 Rick returning from believed death has ruined Shane's life as he can no longer be with the woman he loves, so it is easy to see why he acts the way he does. Daryl is another fantastic character, torn between wanting to be part of the group, and wanting to keep himself separated his character ark, and his relationship with Carol is so interesting to see. Of course being The Walking Dead, the characters, even the main ones are not safe from death and by the end there has been some shocking exits. A lot of dark things happen, there is a lot of ultra violence against the zombies as expected, but also some big busts up between members of the fracturing group, as well as bloody fighting with rival groups, and a big moral question of whether it is right to loose your humanity if it means being able to survive and protect the ones you love. Minor spoilers ahead. The finale this time is utterly brilliant, it seems a bit strange how it all happens but makes for a very, very exciting episode that had me shouting at the TV! 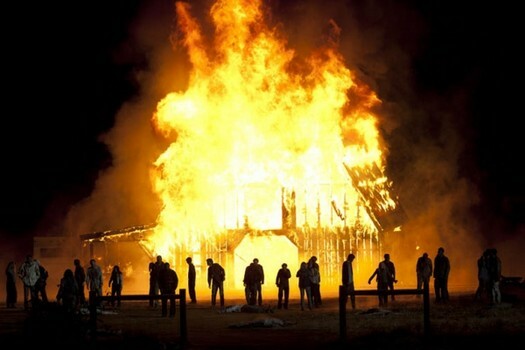 An unforgettable episode (by far my favourite scene was usually mild mannered Hershel calmly taking out 100's of swarming zombies with an infinite ammo rifle) The chaos and how the group breaks up under attack was a delight to see. Some characters are not so likable though. Dale has been turned into the walking embodiment of good, while Lori is just hard to like being so miserable all the time, some of the minor characters were so minor that one in particular I swear popped into existence just to be killed. The Walking Dead is out on DVD and Blu-ray soon, I am definitely going to be getting the Blu-ray.